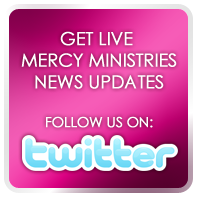 Mercy Ministries News: Mercy Girls Give Thanks! Thanksgiving is a special time of celebration and fellowship at all of the Mercy Ministries homes. The residents worked hard to prepare Thursday’s Thanksgiving meal complete with turkey, sweet potatoes, stuffing and pumpkin pie. The girls learned how to make most of their dishes from scratch, something many of them had never done before. Staff members from each home and our corporate offices brought some of their favorite Thanksgiving desserts for all of the residents to enjoy. Thanksgiving can be a very difficult time for the young women at Mercy as it often represents very painful memories from the past. Several of the girls expressed that this was the first time they truly enjoyed Thanksgiving. A special thank you to all of our faithful supporters! It is because of your commitment and generosity that these young women were able to have a truly special holiday filled with hope and love.